Length: 11 songs, written and composed by Madeleine. Producer: Lloyd Peterson and Madeleine Roger. Studio: Paintbox Recording in Winnipeg. Mastering: Meaghan Ritchard at Laquer Channel. 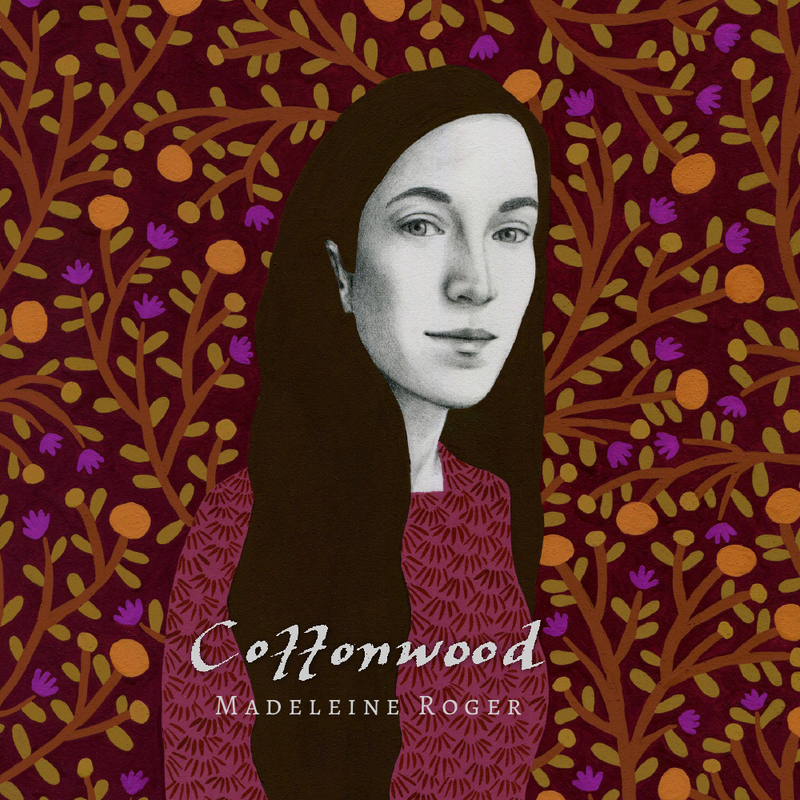 Madeleine Roger is a folk singer-songwriter from Winnipeg, Canada. While accompanying herself on acoustic guitar, it is her artistry as a songwriter that can silence a room, uniting her magnetic voice with vivid lyricism and a maturity beyond her years. 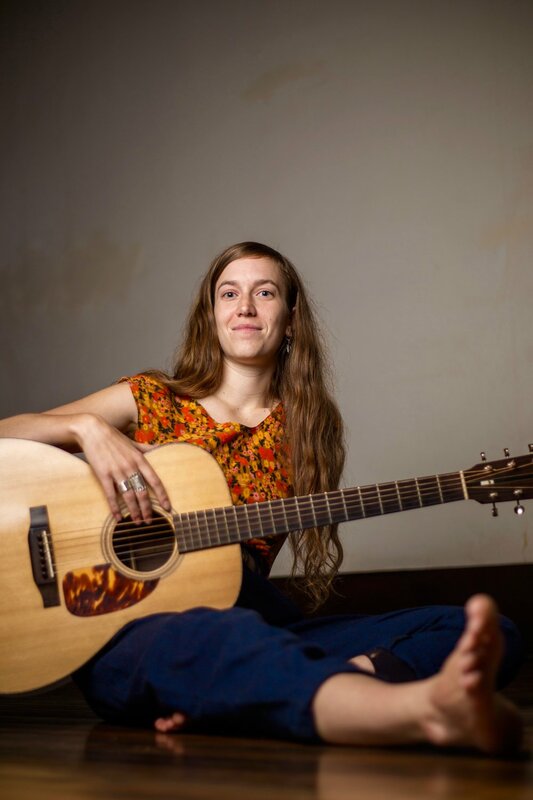 A former thespian and a lifelong traveler, she is prone to absorbing stories and questioning the way that things are, creating songs with imaginative melodies and honesty that bares truths about being alive. Madeleine co-produced and co-engineered her debut album Cottonwood (out Oct. 26) with Lloyd Peterson (The Wailin' Jenny's, The Weakerthans, James Keelaghan) at Paintbox Recording in Winnipeg. The album was proudly made with gender parity - half of the producing, audio engineering, musicians, and other artists identify as female. Written from Madeleine’s home in Winnipeg MB, and in a woodstove-heated cabin that her great-grandparents built in the Manitoba backwoods, Cottonwood combines the elegant storytelling of folk traditions with the grounded vibe of roots music. The album portrays her intuitive creativity; reflections on femininity and equality, the majesty of the wilderness, and the beautiful awkwardness of trying to love another person. It quickly reached the No. 1 spot on the Canadian folk/roots/blues charts, garnering acclaim for its exceptional songwriting, stunning vocals, and meticulous instrumentation. She is an advocate for equality and the representation of women in the music industry, and is actively working to get more women behind the board in recording studios. “A glimpse into the machinations of someone who is attentive to the world around her: in the wilderness, on stage, in the present moment and in the past.” – Exclaim! Madeleine Roger gratefully acknowledges the support of Canada Council for the Arts, FACTOR, and Manitoba Film & Music.